It has become a natural phenomenon that every New Year comes with its new resolutions, and these are mostly wild and diverse depending on the individual making the resolutions and the space he or she occupies. But one thing tends to be constant, and that is: being a better version of one’s present state through the adoption of new ways to live. However, only in rare cases have we seen improvements in road safety manners as a part of or topping the list of new year resolutions. This piece hopes to open our consciousness to the need for the inclusion of improving road safety manners. The act of indiscriminate transfer of number plates from one vehicle to another without due registration is becoming rampant among Nigerian motorists. According to the FRSC National Vehicle Number Code book, it is illegal to operate a vehicle with number plates without formally completing the official registration form for the National Motor Vehicle Administration. It is to be known that a number plate is registered against an individual and his or her vehicle. So when a vehicle is transferred from one person to another or sold to another individual, it is only proper for a formal change of ownership process be undertaken at the licensing office. A warning triangle, popularly called c-caution, is a reflective triangular shaped frame mostly used to inform, warn and condone off sometimes other road users in case of a crash or vehicular breakdown. While drivers have this in their car, the proper usage cannot be ascertained as this tends to be placed on the road as it suits them. For the proper usage, the Nigeria Highway Code clearly states that a motorist is expected to have at least two in the vehicle and they are to be used as follows: one to be placed 45m before the broken down vehicle and the other be placed 45m after the broken down vehicle on highways, while on Expressways, the first sign should be placed at 100m before the vehicle and placed 50m after the broken down vehicle. And please note, vehicle hazard lights should be activated to complement these signs. 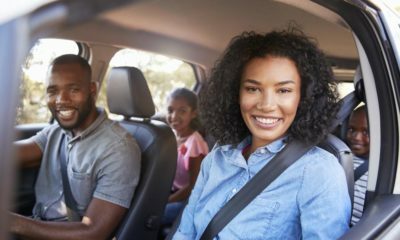 Parents are to know that allowing their children to either move or stand when a vehicle is in motion is not a show of love, and they are to discourage future occurrence of this. Children are to be strapped to the vehicle’s sit and for those not up to the lawful age of 12 as depicted by the highway code, they are to be strapped to the baby’s seat. Applying the brake for pedestrians to cross the highway is a good driving culture provided there are no pedestrian bridges around and other road users, especially if fellow drivers aren’t exposed to dangers. 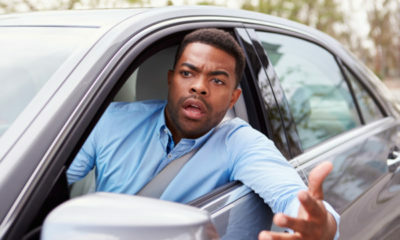 Some drivers’ sudden application of brake on highways for pedestrians to cross without considering or alerting fellow drivers coming behind or by the other lanes has led to different forms of road crashes. This good act, if not properly done, can be dangerous for all road users. I see no reason why a mature individual who clearly knows s/he sleeps easily some minutes into a journey would prefer or jostle for the seat beside the driver. Those beside the driver are to be alert always and exhibit a character that would in no way distract the driver in the course of a journey. Though, the clause “passengers by the driver’s seat are not to sleep in the course of a journey” may not have been written in any code of conduct or pasted by the vehicles for passengers, we are expected not to sleep as this may easily distract the driver. So this can be seen as unwritten code that should be adhered to by those concerned. 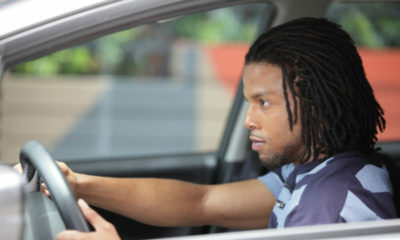 As a driver, you are expected to drive cars that are duly registered. Renew expired vehicle and driver’s license when due, and if you are changing your car’s engine, kindly inform the police station nearest to you. This will guide against theft, delays and embarrassment from law enforcement agencies. All road users are expected to obey traffic rules and regulations. Though, some tend to obey those in their favour and neglect those against. Rules and regulations are meant for the citizens for orderliness and sanity of the community. We are to join hands together to make Nigerian roads safe for all road users by adopting the above in our everyday lives for the new year and years to come. These are to be infused into our new year resolutions and practiced on a daily basis. Kolawole Ajayi: The Good, the Bad & the Ugly! What Kind of Driver Are You?